to feel their best at every life phase. As a woman, each stage of life brings new experiences, inspirations & challenges, especially to our bodies! 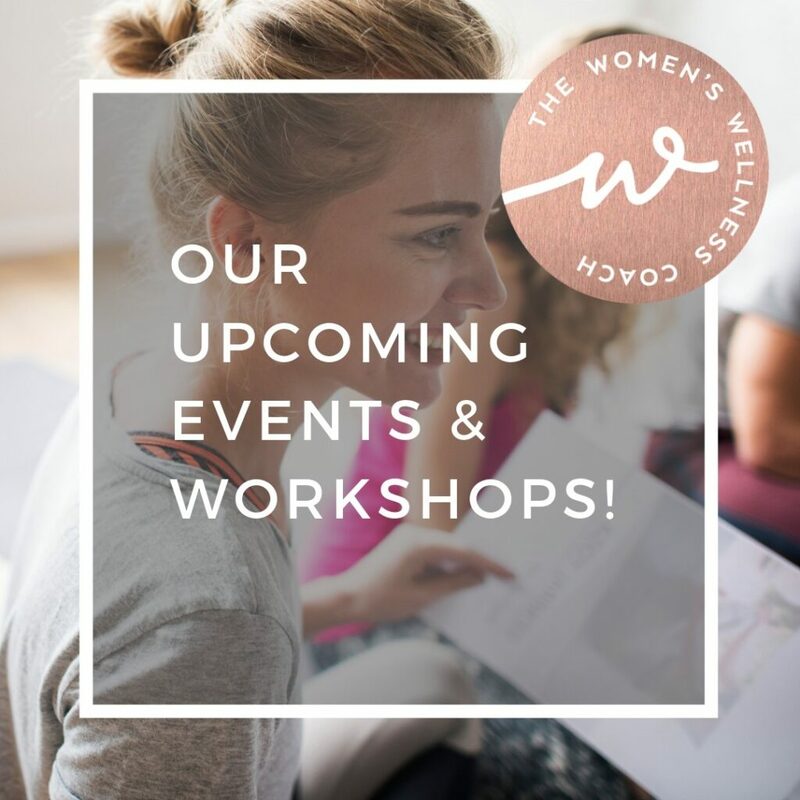 Whether you’re trying to conceive, you're pregnant, have just had a baby, or maybe you're over the age of 40 & looking towards the challenges of Menopause, you'll be facing specific female health and fitness issues, which we can help to manage. We have the knowledge, training & expertise & have developed specialist Women focused programmes to make each stage a more positive life experience. 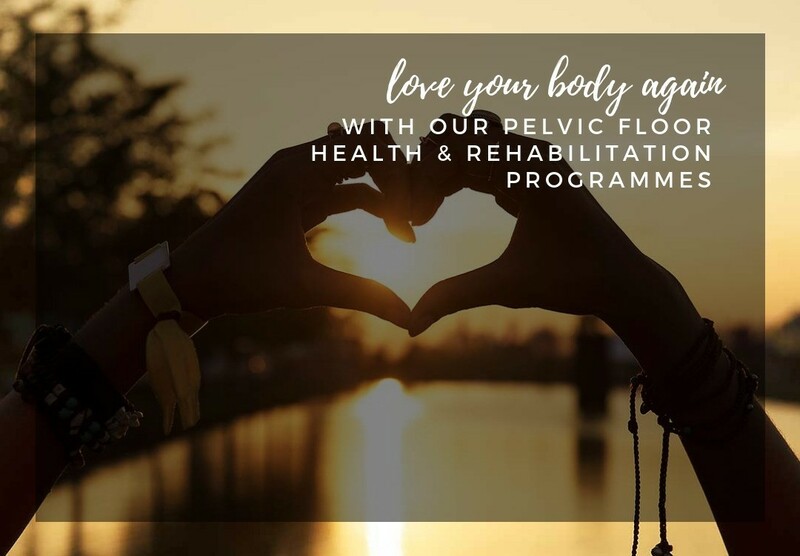 We combine exercise & movement, specialist massage, nutrition & a positive mindset with our extensive women’s health network to provide practical, joined up solutions that get results. We educate & empower women, create communities, tackle taboos & provide much needed rehab & recovery because we understand the importance of being in control of your body and feeling good in it! I can honestly say finding Jayne has been the best thing to happen to me post birth. I’ve worked with Jayne in group exercise classes, her 1:1 pelvic floor restore course, and nutrition programme. When no one else cared or listened to my problems (I.e. NHS health professionals) she was there giving me real support and practical help. She’s enabled me to safely return to exercise, build my strength, reduce those little ‘oops’ moments, help me connect to my body and build in self-care to my day when all I get is an hours break without my little angel. I don’t know what I would have done without her. Jayne’s knowledge, motivation and drive coupled with the ability to adapt the exercise program to your individual needs really helps when you are in the early stages of returning to or starting exercise following the birth of your baby. My friend recommend Jayne! The appointments have been fab and really helped me slow down (in this hectic world we live) and really focus on my body! Learning how to breath!! Who would have thought I needed to learn that but I did and now it helps me day to day!! Great sessions tailored to me and what my body is telling me!! Highly recommend!! I have ‘been a student’ of Jayne’s for over 4 years, I use the term ‘student’ as jayne has an ever expanding wealth of knowledge that guided me through both my pregnancies and recoveries. She is extremely generous with her time and will always answer questions to ensure a personalised recovery. Jayne is honest and her advice prepares you for the realities of birth and recovery more than any other birthing class did- there is no sugar coating! And when all the classes have stopped and you have a new born, jayne is there to help you regain bits of ‘you’ through advice, exercise and laughter! I first met Jayne back in 2014 when I was pregnant with my first child. I attended Pregnancy classes in order to prepare me emotionally and physically for both the labour and caring for my first baby. I cannot emphasise how much Jayne's class and overall knowledge of all things pregnancy related helped me along the way. As well as keeping fit and healthy in pregnancy she covered a wide range of areas for discussion towards the end of the class from the importance of pelvic exercise, breastfeeding techniques, pain relief in labour to packing your hospital bag. Nothing is too much trouble for Jayne, her humour and extensive knowledge really helped me through my pregnancy journey and beyond. I enjoyed the classes so much I returned to her classes postnatally. These classes are not only fitness classes, she's gives advice and support on diet and nutrition and the importance of self care, which is a must after having a baby and something which often gets overlooked. I returned in 2017 in my second pregnancy as both classes helped me so much both in terms of preparation and meeting other mums in the same situation as myself. I have attended classes and my experience has literally been life changing. The care and support you receive from Jayne is incredible. Not only are the classes tailored for post natal women, so you that you a regaining the strength that is often lost during pregnancy, but Jayne also educates you. You learn about your body and how eating the right food and doing to right type of exercise can really help your recovery after having a baby. I've also had a massage from Jayne and again she explained where my aches and pains were coming from and she gave me tips on simple exercises I could do to help. My only regret is that I didn't join Birth fit. I've been attending Jayne's classes for over three years now. Starting when pregnant Jayne provided lots of knowledge and support. I felt confident I was excising safely and learnt the importance of pelvic floor work. This has continued through postnatal exercise and now in the advanced class. Jayne doesn't keep the same repetitive class each week she changes things which keeps it interesting. Pregnancy massages are also amazing! I'd recommend Jayne's classes to everyone give them a try. Joining Jaynes group was the best thing I ever did after having my second child I got really bad baby blues and my weight was out of control. Jayne helped me exercise the right way for my body and knew exactly what I needed to do to get me back on track from the right exercises to the right foods to eat as well her knowledge is endless and there is nothing she would not help you with. Jayne provides extensive knowledge of food nutrition and her 3 monthly detox group is a great way to eat healthier and make good decisions about food and the way you feel. The other ladies in the group all knew how I was feeling too and I made friends. The classes Jayne runs are friendly energetic and fun. I have been working with Jayne for a number years, starting with a pregnancy fitness class for my second baby and then continuing with post-natal classes after the birth. I am impressed with Jayne’s deep expertise and detailed understanding of issues facing women during and after pregnancy, choosing the best types of exercises for different stages and also taking into account very individual exercise needs. She is providing advice on nutrition and much more and is never afraid to answer uncomfortable questions. Even if Jayne is not able to find a solution herself, she will suggest someone from an extensive network of healthcare professionals to help, so you don’t feel left alone with an issue. Jayne’s classes have been an excellent forum to meet other mums (to be), sharing experiences and ideas, ranging from babies teething to school admissions and anything in between. It is very comforting knowing that I am not alone facing life with children. Following the birth of my son, I ended up with severe weakness of my pelvic floor muscles. I also had diastasis recti and was told to do sit-ups by my midwife! After searching around, I was fortunate enough to find the contact details for Jayne Hume. Jayne personally called me to find out more about me, my postnatal health and how she could help. She told me all about the wonderful classes she runs where exercise is tailored to suit postnatal mums, allowing core muscles and pelvic floor to be strengthened without high impact exercises that will hinder recovery, such as sit-ups! I loved going to these classes. I could bring my son along too, perfect! She also provided me with the contact details of Fiona Mitchell, a physiotherapist who specialises in pelvic health. Through the work of both of these wonderful ladies, I was able to become stronger, strengthen my pelvic and core muscles and recover. When I was stronger I began attending the advanced classes, targeted at women further along their postnatal journey but still the right kind of exercises. Now I am pregnant with my second child and am attending the pregnancy classes enabling me to exercise safely, meet fellow mum's and help prepare my body for giving birth. I thoroughly recommend getting in touch with Jayne and seeing what she has to offer you. She is so friendly and very knowledgeable! I started with Jayne antenatally in 2013. Her professional, down to earth, friendly and enthusiastic approach meant I came back postnatally. Then antenatally and then postnatally again. So many things slide with baby no 3 but the sessions are something I have made sure I have continued with - I really value the carefully designed exercise which is made good fun and enjoyable. I first met Jayne when I was pregnant with my second child. The classes have been a real lifeline for me- I’ve been able to learn about pregnancy and post natal fitness, all in a safe and relaxed environment. We have lots of fun while we exercise and I’ve met a network of supportive, like minded women who I know value the classes as much as I do. I’m definitely fitter and more knowledgeable about my own body since meeting Jayne. View the schedule and locations of a fitness class near you.